Bride Saber is so beautiful with a bouquet of flowers in her usual color scheme. Is this a scan from a CD? 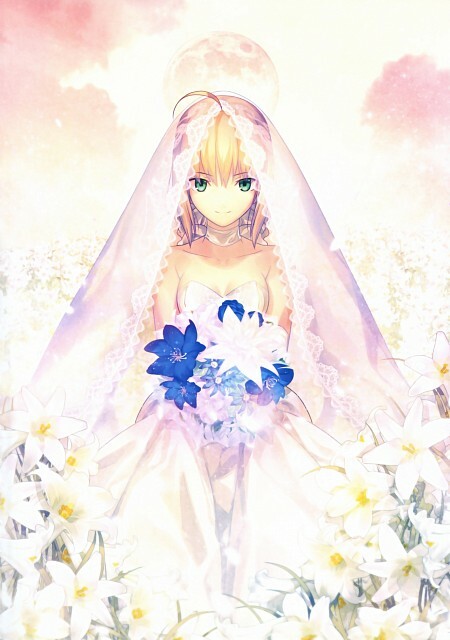 woah bride Saber is really beautiful! I loved this but only saw the album cover version, thank you. Waw, I don't know this pic before today !